Try this: whip out your phone and text the biggest outdoor and survival knife enthusiast you know and ask them this – “who makes the best survival knives in the business?” Chances are, they’re going to tell you that ESEE ranks pretty high (if not the highest). Since 1997, Jeff Randall and Mike Perrin have been changing the game when it comes to the wilderness industry. 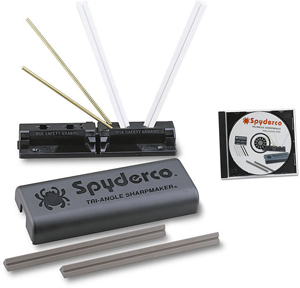 Their goal is to offer realistic tools that are designed for people that are going to use and abuse them, which is why their brand has been so successful. Their ‘no questions asked’ warranty doesn’t hurt, either – you’re essentially covered for everything but rust. If you break it, they will replace it. Even in the company’s philosophy, it clearly states that one of the most important aspects of the business is that ESEE won’t provide a piece of gear that hasn’t been tested in the real world. How seriously do they take that mission? Considering that ESEE’s founders also run an adventure and training company that regularly does jungle survival courses in the Peruvian Amazon, we’d say – very. Anyone who regularly handles outdoor knives knows the power of 1095 carbon, and ESEE is able to get more out of that steel than any other production knife company thanks to their famous heat treatment. What the ESEE 3 lacks in size, it more than makes up for in strength. It’s the very first knife that Jeff and Mike debuted at ESEE, essentially making it their flagship knife. The National Tactical Officers Association gave it a 4.77 out of 5, cementing its reputation as a favorite with law enforcement and military teams. Like we said before, you’re going to get more out of that 1095 carbon steel than you will from any other knife company. 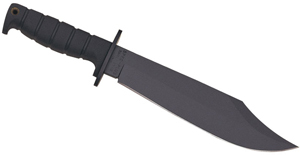 This knife is comfortable and easy to carry thanks to its size and versatile sheath. 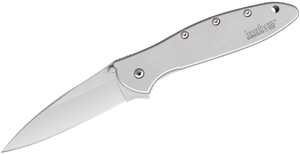 Because this is such a popular knife model, we have over 40 iterations of the ESEE 3. From combo blades to Venom Green finishes to highly visible orange scales, we can pretty much guarantee there’s a model out there for even the most eccentric knife user.